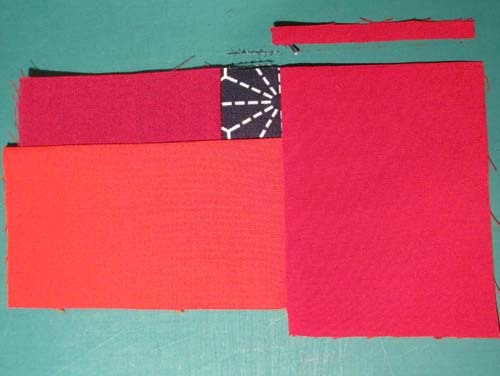 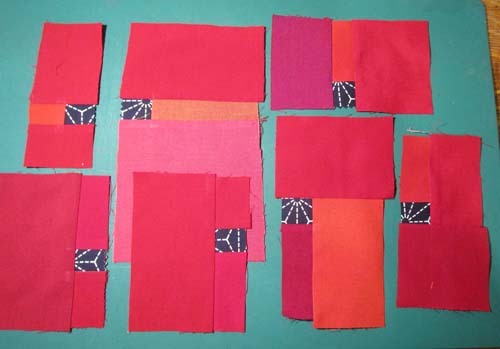 So, I had some nice little Japanese charm squares (5-inch squares) and some strips of Oakshott fabrics ruby reds in various widths. 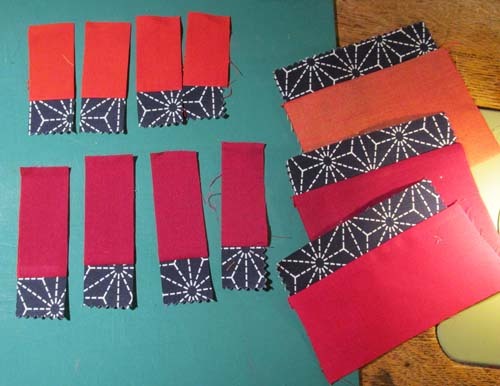 I pressed towards the reds, then sewed again onto strips – there is a lot to be said for just working your way along a long piece, but you will note that I put the pieces all possibly ways around. 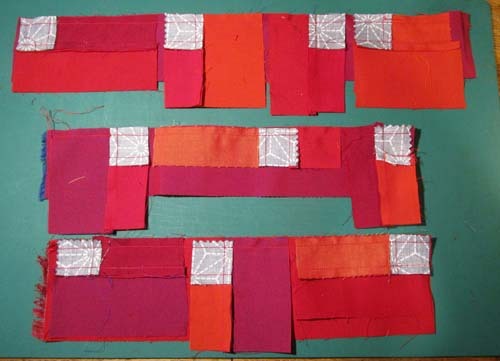 Press to the outer strip, turn, re-sew. 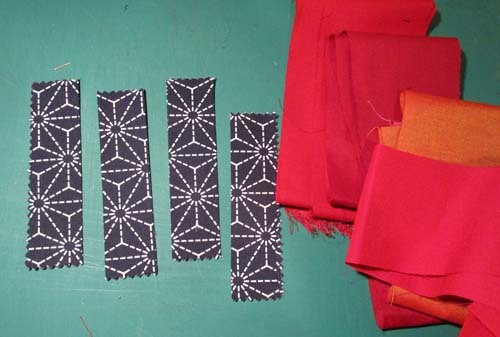 Each time, sew the “stone” piece onto the new strip. 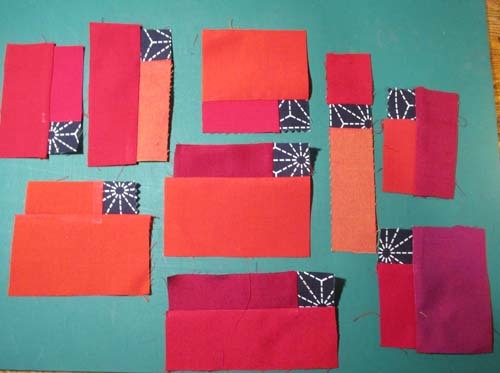 At this stage, you can trim all to one size if desired, and sew them together.. 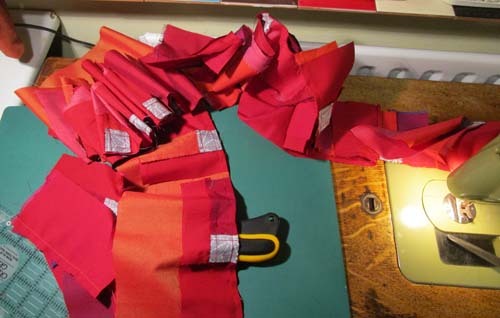 However, I didn’t do that….